Antique buttons art. Button for a long time served as a decorative ornament. 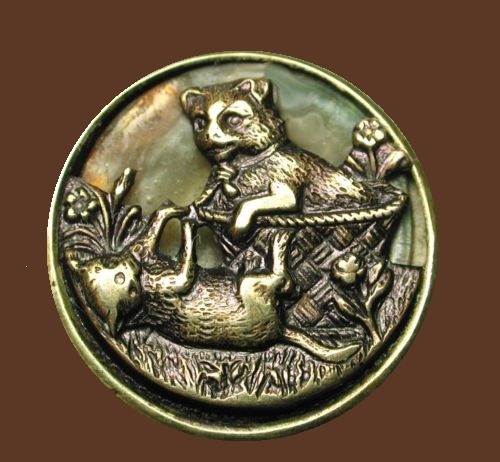 Buttons were made ​​from precious metals, coral, amber, pearls. The shape, size, decoration and number of buttons on clothing informed about a person’s wealth and social status. Some garments were often more than a hundred buttons. Fur coat might be cheaper than the existing buttons on it. Historically, fashions in buttons have also reflected trends in applied aesthetics and the applied visual arts, with button-makers using techniques from jewellery making, ceramics, sculpture, painting, printmaking, metalworking, weaving and others.